Healing Moss Agate crystal chips Bracelet. Elasticated so one size fits most average adult sizes. Birthstone for Gemini, Cancer & Virgo. FREE UK Delivery by Royal Mail 1st Class. The Bracelets are elasticated and suitable for most adult average wrist sizes. Your Bracelet will include some information about the healing properties of Moss Agate, as below. Because of its plant like appearance MOSS AGATE has long been associated with the love of Nature and all things agricultural. As plants grow and renew, so Moss Agate confers the ability to be refreshed, to be invigorated, to grow and to begin again and again. 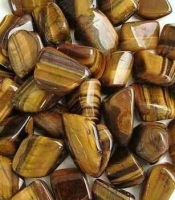 It is a stone for new beginnings, for freeing you from blockages and for enabling spiritual growth. Moss Agate helps with self-expression and effective communications, it balances the emotions and therefore reduces stress. In healing, Moss Agate speeds up the recovery processes, especially from long illnesses. It is anti-inflammatory, and aids the circulatory and elimination systems.